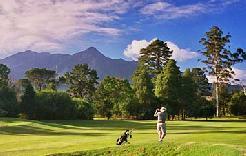 Plettenberg Bay Golf Course is no little seaside golf course, it is a magnificent 18-hole layout in the most lovely of settings. All greens and bunkers are to USGA specifications. All greens and fairways are on automatic sprinkler systems - the result is a golf course you will remember. 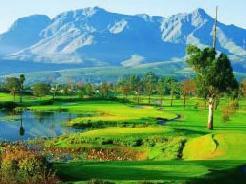 Very popular with local holidaymakers, the course is also a bird sanctuary. Every year thousands of holiday-makers from all over southern Africa flock to the beaches, luxury hotels and paradise-like setting of Plettenberg Bay, which is situated on the famous and beautiful Garden Route. 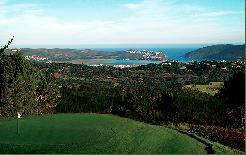 It's a sporty place, with most of the activities focused around the sea, surf, lake and lagoon. 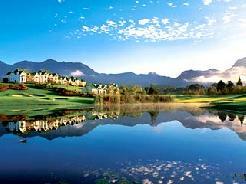 But 'Plett' also has an excellent golf course, set in the peacefull Piesang (Banana) Valley, which is surrounded by high hills. The whole area has been proclaimed a nature reserve and it is rich in bird life and home to the strikingly beautiful Knysna Loerie. Upgraded by Rob O�Friell, in 2000, the 18 superb, new bent-grass greens have been built to USGA specifications. 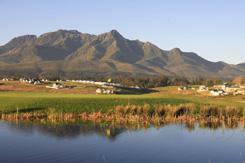 Their new shapes and slopes plus the new bunkers and water features have created a challenging yet beautiful course. 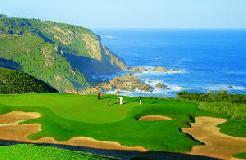 The golf course is the pride of the golfers of Plettenberg Bay. 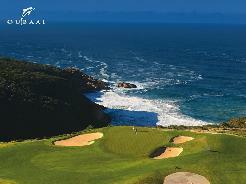 Signature Holes: The 470-metre par-five 4th hole plays particularly long in a southeaster when the average golfer will have little chance of reaching the water-guarded green in two, and sometimes even in three. By contrast the 11th is only 110 metres long, one of the shortest par-threes in the country. The 300-metre par-four 14th is a sharp dogleg-left which features two tall oak trees which are on the left-hand side of the fairway just after the hole curves towards the green. The foliage alongside the tee makes the drive an exacting one. Course Design: Fred Hawtree 1976, Upgrade by Rob O'Friell 2000.